There is nothing quite like a splash of color to brighten up the day – and the Keyless LifeBook concept that you see here ought to make your day if you’re feeling particularly down when the work week starts. An entry in the 2011 Fujitsu Design Award competition, it will bring personal configuration to a whole new level, sporting a full touchscreen keyboard on a full-size laptop that will enable you to pick, arrange and configure your very own layout choices. Designed by Laura Lahti, her Keyless LifeBook concept remains to be seen whether it will continue being a conceptual idea, or will it actually end up as a working prototype sometime down the road – with hope that it will actually make the jump to a commercially available machine. One ought to keep their fingers crossed that vibration key feedback might even be thrown into the final edition. This concept works great if you want to split the keyboard into different sections for ergonomic comfort or gaming efficiency. Imagine placing the numeric keyboard on the left if you’re more used to that, and the touchpad area miht also be positioned according to where you please, moving it away when it isn’t required for the task at hand. Seems that an idea like this will certainly sip quite a lot of juice, so that is something engineers will have to look into. Yes clean your pc ,iam not talking about formatting it or cleaning it from viruses.Clean your computer physically. Keyboard and mouse can spread diseases if you do not clean them regularly and in a proper manner.and even the mouse .You are at great risk if you eat while using computer. Flu , influenza and other diseases can be easily spread by touch.Dangerous bacteria can badly affect specially if you are using a shared computer . 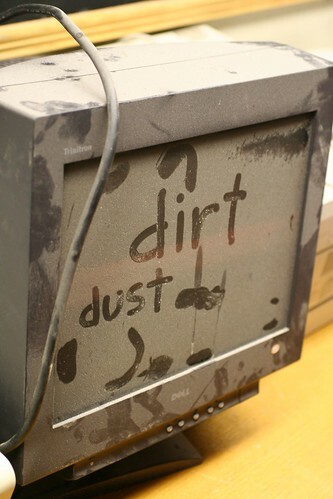 Not only keyboard or mouse you should also clean the screen regularly . If you use a shared computer, other users may also spread contagious skin diseases on your keyboard. Now its time to combat,i mean its time to clean the PC. For internal cleaning of Central processing unit you should use blower and in small areas toothbrush is best.Please do not use vacuum cleaner it can damage the circuitry of system. For cleaning of monitor many products (sprays) are available but you can easily use wet towels.For keyboard and mouse use cotton buds to clean through spaces and if dust is hard to remove you can use wet cloth to soften it and then remove by toothbrush.